While most summer travels inevitably lead to a beach, many of us will still spend most of the season at home in the city. 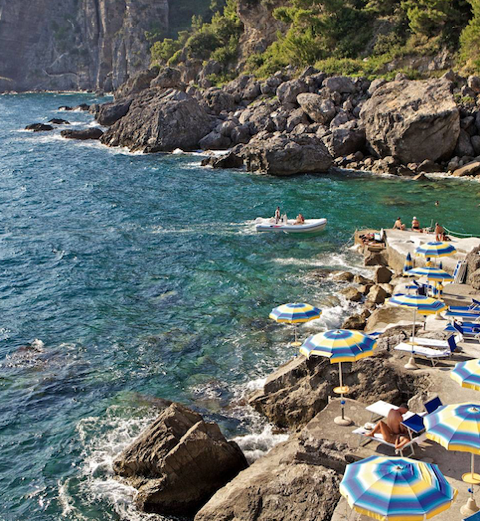 Luckily, there are those special places where it always feels a little like vacation. 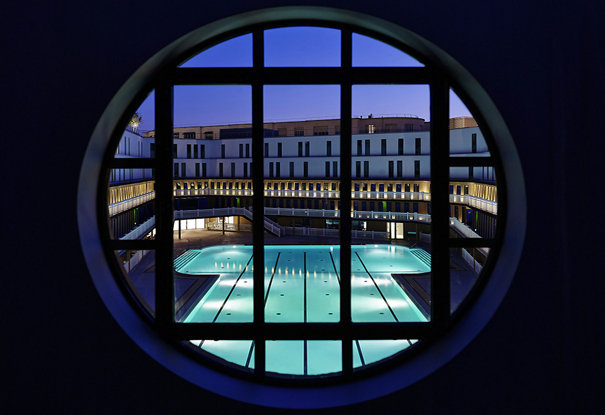 In Paris, Hotel Moliter (pictured) recently opened in the 1920s bathing club where the bikini was first unveiled. Today, guests frolic and svelte locals opt for a choice of summer memberships. In Milan, the Dsqaured2 duo host at Ceresio 7 that's currently the sexiest rooftop pool in town. Soho House Berlin and its new luxury Apartments are still home to the chicest swim club in town, which is almost as festive as summer at the neighborhood lakes that surround the German capital. In Istanbul, the Four Seasons Bosphorus is about as pretty of a pool as you'll find on the water aside from Suada Club that's quite literally an island of waterside preening. In London, the posh crowd can be found poolside atop The Berkeley while hipsters flock to Shoreditch House and bohemians take to Hampstead Ponds that's one of London's true summertime experiences. In Barcelona, we can't decide if we prefer the rooftop of the Ohla or laying in the shade of Frank Gehry's ethereal whale sculpture at the Hotel Arts. We've tired of the Soho House in Miami, instead we like the playfulness of the Standard Miami Beach or seclusion of the Viceroy for summers in Florida. Mexico City perks with splashy life at the historic Downtown as well as the Habita. While in Hong Kong, W Hotel in Kowloon maintains the best tanning scene providing the rain breaks for an hour or so in the summer afternoon. As for the US, Dream Downtown in New York manages a constant summertime party at The Beach while Soho House lures glitterati not in the Hamptons or South of France or mid-pool dance atop the Gansevoort Park Avenue. In Dallas there's no other place we'd rather be than in the cantilevered pool of The Joule with its incredible art collection and wild Texas crowd. And in LA, we swim happily at the Montage Beverly Hills with its rooftop pool bar that's never too touristy and always remind us of somewhere far away.